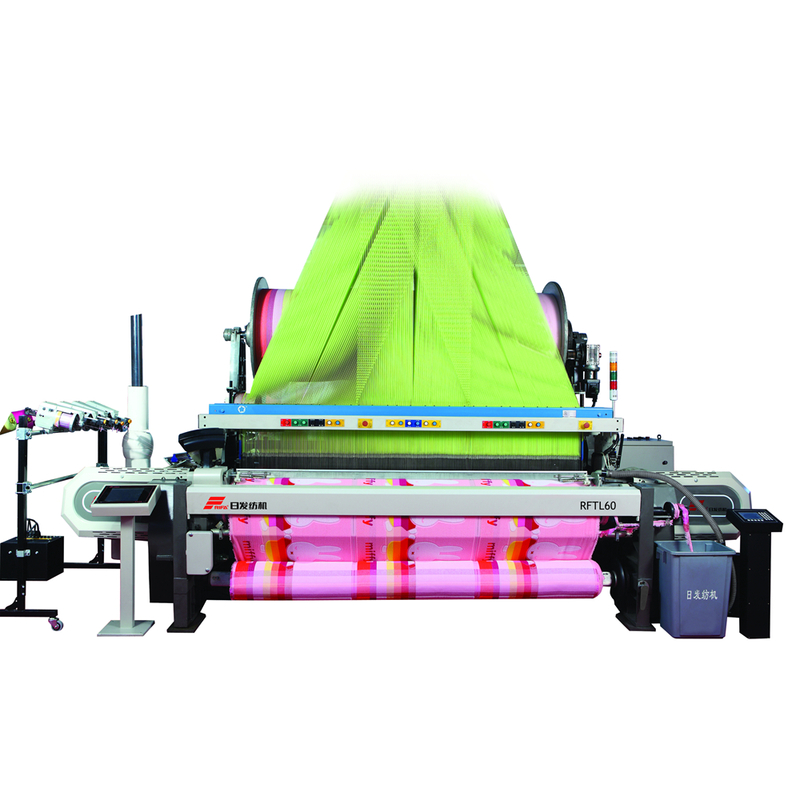 RFTL61 high speed Terry Weaving Machine is to weave with high speed, perfect perfomance. Dynamic loop formation controlled by sley movement can ensure weaving super quality terry towels, and it becomes the superstandard of loop formation. RFTL61 adopts dynamic looping control system, loops are piled by the motion of dynamic sley, yarn attrition is greatly reduced, it reduces the weaving requirement of yarn. Low cost and high efficiency create great economic benefits. Looking for ideal Rapier Terry Weaving Machine Manufacturer & supplier ? We have a wide selection at great prices to help you get creative. All the High Speed Rapier Terry Weaving Loom are quality guaranteed. We are China Origin Factory of Rapier Terry Loom. If you have any question, please feel free to contact us.